Below is a map of our travels. 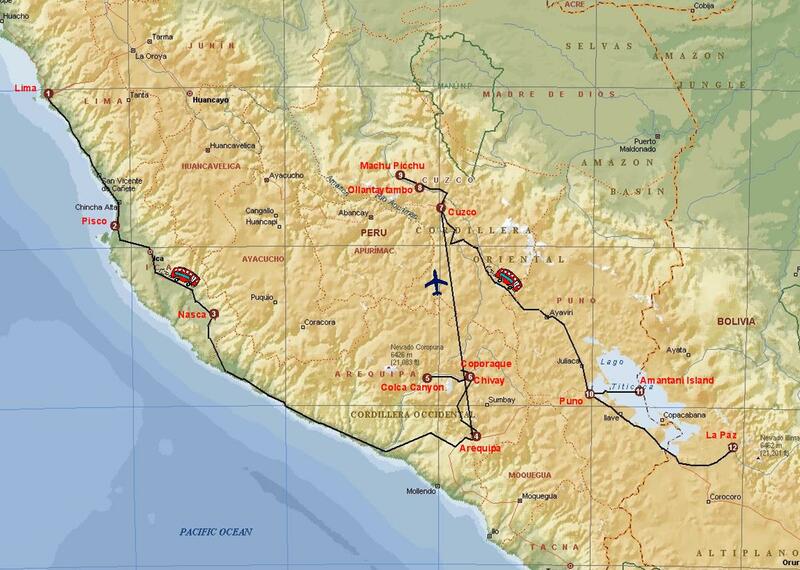 We started in Lima, Peru (top left of map), and ended in La Paz, Bolivia (bottom right of map). 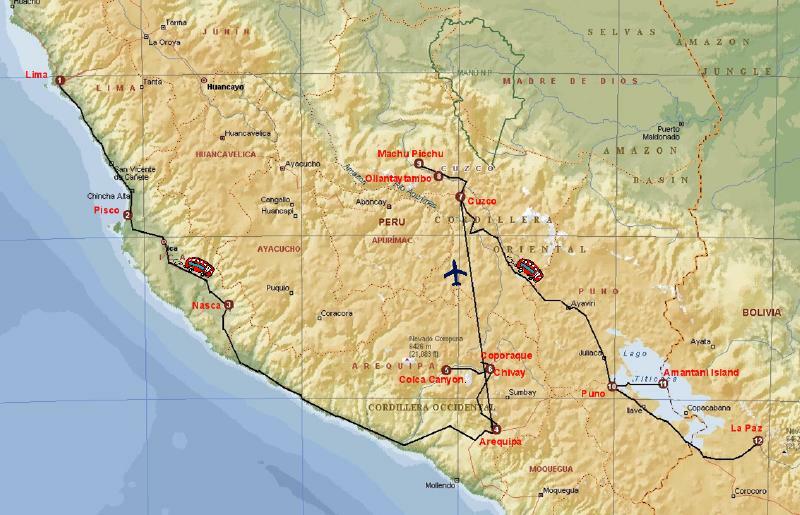 To view photos of our Peru vacation, click here or click the map above. If you would like to see a larger version of the map, click here.